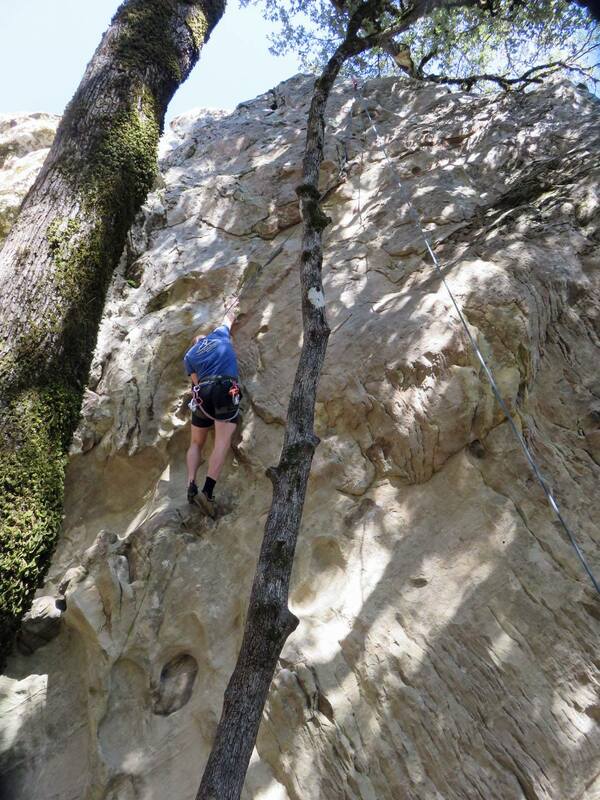 Castle Rock State Park provides a popular site to hike and rock climb. Climbers have scaled the park’s outcrops of Vaqueros sandstone — Castle Rock and Goat Rock — for nearly a century. The sandstone’s relatively hard exterior and unique tafoni patterns are ideal for bouldering and rock climbing. To preserve the character of these unique rock formations and minimize the impact on soils, vegetation, wildlife, other climbers, and visitors, Castle Rock State Park requires low-impact climbing and supports “Leave No Trace” practices. Properly dispose of all rash and protect the park’s natural resources. Observe all park rules and closures — Climbing and other off-trail activities are not permitted in the San Lorenzo Headwaters Natural Preserve. Check park bulletin boards before climbing for notice of possible restrictions to protect nesting birds, other wildlife, and areas recovering from overuse. climbers are required to notify the park and receive approval. Please contact the park in advance to initiate a request for bolting. Help prevent erosion — Use only existing access trails. Please carry (rather than drag) crash pads. The park’s topsoil is fragile and easily displaced from the steep slopes in much of the park. Protect park vegetation — The plants and trees provide food and shelter for wildlife. Please avoid damaging mosses, lichens, and branches. Respect the integrity of the rock and the climb — Please do not chip, glue, remove, or otherwise alter the rock. Avoid Overcrowding — Large groups have large impacts. Try exploring another climbing route when too many people are at one location. Wait to Climb after a Rain — Delicate sandstone becomes fragile after rain. Please allow two or three days after a heavy rain, or until rocks are completely dry, before climbing. Sandstone becomes much more fragile when damp.